I want to support the International Chardonnay Symposium. California has at least eight annual major Pinot Noir gatherings, but only this one on Chardonnay. 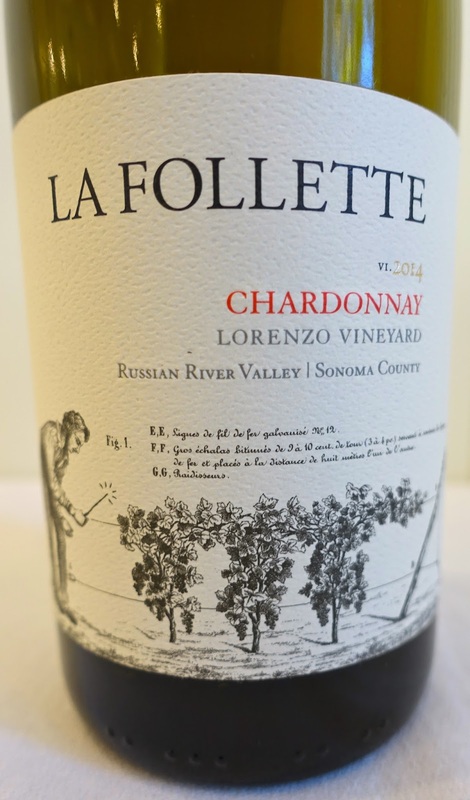 Yet Chardonnay is California's most planted grape and its most sold wine, plus I think cool-climate Chardonnay is one of the most exciting wines being made here. I want to support the Chardonnay symposium, but I'm going to get meta here: I attended two of the most worthless wine panels of my life. This is not to say that there aren't, at every symposium, worthless panels. There's the ever-popular "pairing wine with cheese" panel, which is usually just an excuse to drink good wine and eat (hopefully) good cheese. That's fine; I'm not talking about that. And I'm not talking about weekend consumer-focused panels (great Russian River Zinfandels!) that the media has no business attending. I'm talking about weekday panels with an interesting-sounding topic that come off so poorly that you learn nothing at all. Now, I've moderated some wine panels and people who were in the audience at those can jump in here if you like. But I like to think that when I run a panel, that panel will say something. Here are the two panels I attended: "Wente Clone Comparative Tasting," and "Taste the Difference: Exploring California's Distinct Chardonnay Regions." Both of those sound like they will provide information, right? Like, one could learn something about what the Wente clone tastes like, or how it is treated by different vintners. And that second one sounds like a surefire blog post at least: Santa Barbara County Chardonnay tastes like this, while Carneros Chardonnay tastes like that. Instead, we were treated at each seminar to lecturing on how nobody can say anything definitive about either topic. In that case, what is the point of having a seminar? Longtime readers will know I've been writing about wine for a while. I'm well aware there's an exception to every rule. If you write that generally Sauvignon Blanc doesn't improve with age, somebody will pipe up with the exception. But the important point for wine communicators, especially when talking to beginning consumers, is not the exceptions, but the rules, or perhaps better stated, principles. People want guidance. When you tell people "it doesn't matter what wine you drink with what food," you aren't helping them. We don't want to be as rigid as "Carneros Chardonnay with chicken breast in lemon-pepper beurre blanc," but "chicken is generally better with white wine" is helpful. At the second seminar, I asked three times, "Can you tell me some regional differences in California Chardonnay?" I mean, the panel was called "Taste the Difference: Exploring California's Distinct Chardonnay Regions." A PR person I know told me that he couldn't see me at the front of the room, but, "When I heard somebody say, 'Let me ask the same question a different way,' I knew it was you." What I got was a lecture from the moderator on how winemakers make a variety of choices that are more important than the region: barrel regimen and picking date and commercial yeast and when to dump in which additives and blah blah blah and there's just no way blah blah blah and all these Chardonnays are a product of their individual sites and blah blah blah. Yes, this is all true. But I didn't sign up for a panel called "Reasons Why Nobody Can Make Any Statement At All About the Regional Character of California Chardonnay." If you go to Burgundy, the Burgundians will tell you Puligny-Montrachet is like this, and Rully, just a few miles away, is like that. Is it possible to make a Rully that tastes like Puligny-Montrachet, or vice versa? Of course! (Actually, a Burgundian might argue that it's not possible.) In any case, that isn't the point of making Chardonnay in Rully. The point is to make a wine that is a distinct product of its region, not to deny that regional character exists. Moreover, it undermines the purpose of having artisanal producers speak, and I believe that's what all of the speakers would like to be called. If the region doesn't matter, what matters is the producer, which in California equals brand. The new owners of The Prisoner would be happy with the message of this panel; why not just buy Prisoner Chardonnay, if it's all about the winemaker? 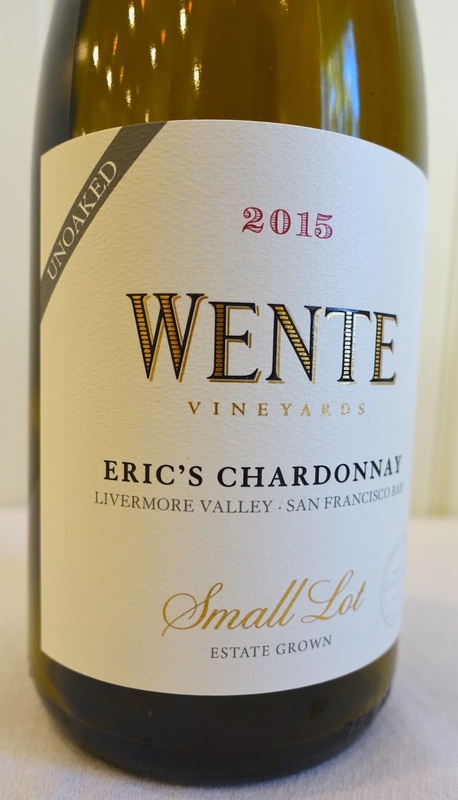 The Wente Clone panel was significantly better, as Randy Caparoso and Karl Wente gave us an interesting history of how the Wentes planted Chardonnay in Livermore Valley in 1912 and the grape spread out from there. Unfortunately that's where the story gets complicated. There is no actual Wente Clone as we understand the term. The Wentes brought in a "trunk full of cuttings from Montpellier," Karl Wente said, and planted them all. Not all survived but the ones that did were essentially a field blend of Chardonnay clones. Karl Wente said that farmers tended to favor the vines that looked healthy, so there was some selection process, but many people looking for vine material to graft chose Chardonnay Musqué clones for the aromatic qualities, while others didn't. Then UC Davis applied heat treatments to "Wente clones" that were infected with leafroll virus, creating virus-free Clone 4, Clone 5 and Clone 6 and maybe others I'm not listing. Without very productive Clone 4, good supermarket Chardonnay would not exist. Is it a Wente clone? If so, Caporoso says that 75% of the Chardonnay in California originated in some way from the Wente ranch. Now that's an interesting story, but about that comparative tasting ... I beat my head against the same wall with this panel as I did with the other. So what does the Wente clone taste like? Compared to Dijon clones? The best answer anyone could come up with was Eric Wente saying, "There's a reason why the industry has consistently selected it. It works in California. If it didn't work, you wouldn't do it." It's a good answer. It's an accurate answer. It's just not a particularly helpful answer if you want to know what Wente Clone Chardonnay might taste like. There were some excellent wines at these two panels. 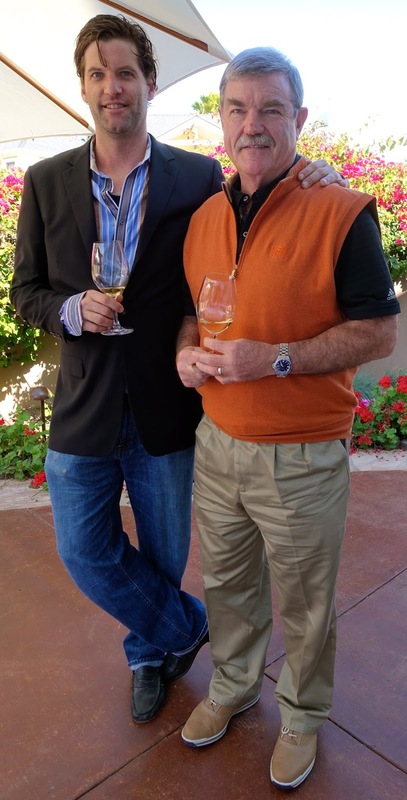 A quick note on the links: All of these wines are new releases, so the Wine-Searcher links below will work for the actual vintages I tasted when they reach the market, which should be soon. Until then, just earlier vintages, sorry. The Wentes held an internal contest of all their winemakers and enologists to make the best Chardonnay. Most used French oak, long lees contact, etc. Karl's father Eric Wente, who wasn't there at harvest time, gave instructions. "My father said pick it at 21 brix, ferment it cold in stainless steel, leave it on the lees for two months, rack it, and make sure it's in the bottle by April." DeLoach Vineyards Hawk Hill Vineyard Green Valley of Russian River Valley Chardonnay 2013 ($50) is "the most Burgundian wine we make," said vineyard manager Eric Pooler. Hah: If we can't say what a Santa Barbara County Chardonnay is, or a Green Valley Chardonnay, how the hell can we say what a Burgundy Chardonnay is? Is it Chablis? Maconnais? What about the barrel regimen? The winemaker's personal expression? I digress. The DeLoach wine is all about the toast, with good freshness and length, and it blossoms with air. (You can buy the 2012 here.) I wish I had spent more time drinking it and less time listening. Thanks for the interesting post. It's indeed strange that the panel did not want to describe any of the regional differences. Aren't certain AVAs supposed to have their own distinct characteristics that they promote? The panel could have at least spoken in generalities about that. I basically agree with your statement that the point when guiding consumers, "is not the exceptions, but the rules, or perhaps better stated, principles. "However, this consumer (am I referring to myself in the third person?) really appreciates it when reviewers are very specific when mentioning pairings. For example, I would love to read notes such as the following: "The 2012 Ramey Hyde Vineyard Carneros Chardonnay was a perfect match with the chicken breast in lemon-pepper beurre blanc, as the richness and texture of the wine elevated the tanginess of the beurre blanc and brought out the best in both. The chardonnay was excellent on its own, but developed another piquant layer of flavor after a bite of the sauced chicken that also added several seconds to its length." I likely will never experience the exact pairing mentioned by the reviewer, but specific and detailed descriptions can help me envision how other combinations will work. Plus, it's just fun to read about times when a food/wine pairing went especially well. I think Twitter is a great medium for this type of information. I read your story with interest, because I went to a similar panel at the Chardonnay Symposium a few years back regarding regional Chardonnay differences. In that particular panel, winemakers made wines, or were chosen because, they didn't do a lot to the chardonnays to change the end result (ie, lots of fining with tannin, gums, strong toasted new barrels, etc). Someone had even done their chardonnay in a concrete egg to minimize any change to the varietal characteristics. It sounds like they just picked wines that where not "kept pure" for lack of a better term, so the 'virgin' characteristics could show through. Room for growth! Samantha: Though this panel had some good wines, I wish I'd gone to the one you attended. I haven't attended this symposium before. It was lightly attended by the public and I don't know why. Some of the problem might be location: Pismo Beach is far from population centers. This year's symposium didn't inspire me to want to attend next year, and I wonder if that has been the case in the past as well, but about that I can't say. Describing regional differences in Chardonnay is challenging because you are dealing with multiple Wente selections on different rootstocks of varying age vs multiple Dijon clones, wide differences in harvest Brix, vinification and a number of other factors. Chardonnay is not a particularly terroir driven variety and is very adaptable to many climats unlike Pinot Noir. Heck, you can grow Chardonnay in a parking lot in Fresno. Warmer regions like the Russian River Valley exhibit more ripe and luscious fruit and tropical fruit flavors, cooler regions like Santa Cruz Mountains and Sonoma Coast are more austere, citrus and acid driven and more "minerally" for want of a better word. The use of oak in Chardonnay would make a better panel subject. Better to hitch your wagon to a producer than a region. Prince, in your third sentence you gave more regional information than the 90-minute panel. See, it can be done. Thanks! The panel members comprised one wine writer (Randy Caparoso) and three winemakers (Karl Wente and Jim Clenenden and Chris Hyde). And the balance of wines in the tasting line-up were . . .? I organize wine cellars in Los Angeles. One collector client engaged me to spend multiple consecutive Saturdays "auditing" his collection. On my inaugural visit to his home, he asked me to cart out to the curbside trash cans unwanted boxes of California white wines. Inside were old vintages of Stony Hill Chardonnay. "Wait. What?," I decried. "I will take home a representative bottle of each vintage Chardonnay, sample it, and report back my observations when we assemble for my next work session." The following day I chilled and sampled the 1976 and 1996 and 2002 vintage Stony Hill Chards. Each was in sound condition. But the 1976 -- from a notorious drought year (perhaps even worse than our current El Niño condition) -- was magnificent: light straw in color, vibrant apple aroma, almost no hint of apple cider aged bottle bouquet, lively acidity (this is a non-ML wine), and fresh flavors. Showed better than the younger 1996 and 2002 bottlings. Apprised of my findings, the owner said "let's taste them together after our work session." And so we did. To great acclaim. He rescinded his edict to kick the wines to the curb, and dutifully returned them to their place of honor in the collection. Our first vineyard, my dad's, was a selection from Stoney Hill that was in turn selected from Wente. That fruit was in Chateau Montelena's 1973 that won the "Judgement of Paris" 40 years ago. At this time we have two small vineyards that contain vines from wood selected from that original vineyard plus other clones. We also have pure blocks of clone 17 from Robert Young Vineyards in Alexander Valley (a "virus free" selection from a Wente selection), clone 4 from Jaeger Vyds, and a selection from Monticello Vyds which is high in muscat aroma but I think was originally clone 4. All comments relate to our little area of the world NE of Napa. 1) The old clone (Wente/California) had a distinct minerality and the aromas did not come out until at least a year in the bottle. Also, the fruit did not taste ripe until sugars were above 23 brix. 2) Clone 4 tasted ripe at lower sugar and had a fruity nose from the get-go. That fruit tended to decrease with bottle age. 4) We planted three blocks for a client just to the north of dad's original vineyard - across the road but otherwise contiguous. All were on St. George rootstock and all were selections from the original vineyard. At one point Chateau Montelena bought them all and I had a chance to taste them throughout the process as each was vinified separately. There were two different soil types and varying soil structure occurring within each block and between blocks. Slopes, exposure, spacing, and farming were all very close to the same. Interestingly, you could taste differences between each block. I don't recall the specific characteristics of the differences but I was blown away that even my untrained palate could taste it. 5) It seems to me that most wineries have their "style" and process the fruit to meet that rather than letting the fruit dictate the style. We have sold fruit from the same vineyard to different wineries and the wines tasted totally different. Hey, Blake... "ouch" again. On one hand you say you attended two of the most "worthless" wine seminars attended in your life, and on the other you're saying that the "Wente Clone" seminar was "significantly better." Perhaps not all that "significantly?" Anyhow, at the risk of coming across as defensive, I thought I should say that the panel I moderated was meant to simply illustrate the multi-faceted history of clonal material that originated out of Wente's Livermore Valley estate planted early in the last century. It wasn't meant to illustrate sensory differences between Chardonnays produced from, say, Dijon as opposed to various Wente selections. That would be a different kind of seminar; which, in fact, I would love to help organize in a future time and place. But I would submit: if anyone attending actually learned something they didn't previously know about the history of Wente Chardonnay clones, or things like the differences between U.C. Davis/FPS treated clones and non-treated "Old Wente" field selections, then I would say that we were successful in our endeavor. The objective was intellectual, not sensory. Of course, as to the "worth" of that knowledge, that would be something every individual attending would need to determine. I confess that I'm a geeky sort of guy,, so I find this kind of thing extremely fascinating; same as I do about clonal variations of Zinfandel, Pinot Noir, Cabernet Sauvignon, Muscat, Sauvignon Blanc, Sangiovese, etc. Thing is, factors like terroir, vineyard practices, winemaker choices, vintages, ad infinitum *always* effect or even trump factors like clonal variation; not just for Chardonnay, but for all major grape varieties. Having to apologize for not being able to demonstrate clear-cut sensory distinctions between clonal variants would be a waste of breath. In the case of the Wente clone seminar, that was never our objective in the first place. But thanks for attending anyway, my friend! Randy, I did learn something, and you were prepared, and you were significantly better than the other moderator, who I haven't named but who was really, really bad. Problem is, the panel was called "Wente Clone Comparative Tasting." Not history. Why does this matter? Personally, I drove down to Pismo Beach because of those two panels. I wouldn't have been anywhere near as jazzed about a panel called "Wente Clone History." Is it fair of me to complain because the symposium didn't deliver on its promises? Yes, I think so. In this case I was a consumer of the symposium. I expected a burger and in your panel's case I got a hot dog. At the other panel, I got an empty bun.